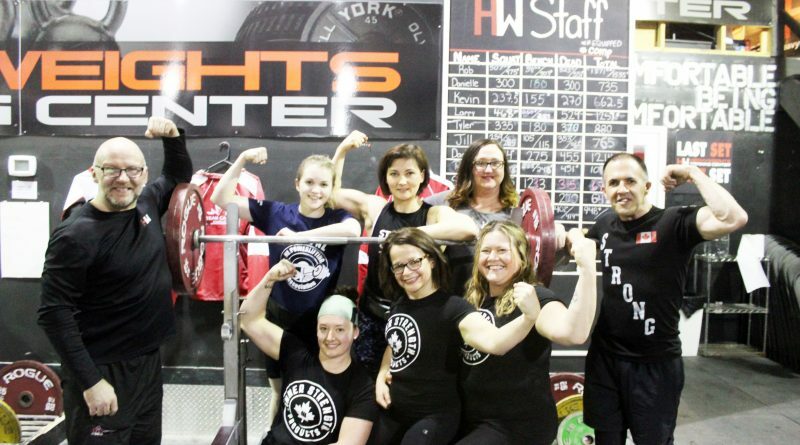 Last month’s national weightlifting championships held in Ottawa prove the adage that you can’t judge a book by its cover, according to the results of a group of athletes from Conception Bay South, Paradise and Kilbride. 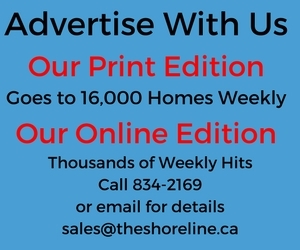 Take Heather Unsworth, 43, and Joanne Rose, 46. Both women earned gold medals in their weight class in the 40 year plus division for equipped three lift (squat, dead, bench) and equipped bench only. The medals earned them a seat on Team Canada for equipped powerlifting. Unsworth also earned a bronze medal in classic three lift, with Rose coming in fifth in the same competition. Both women started lifting about two years ago when they joined one of Heavyweights Gym’s 21-day fat loss programs. Soon, there was no turning back for either one of them. Heavyweights owner and trainer Rob King said that is a common story at his gym. King said his Mount Pearl gym has more women weightlifting competitors than men. Of his 200 members, about 75 are competitive powerlifters. Of those 75, about 50 of them are women. And many of them are in the 40 plus age range. And are people surprised when they hear about the heavy lifting women of Heavyweights? “They’re surprised when we tell them how much we can lift,” allowed Rose. Equipped, Unsworth can lift 170kg (375 pounds ), 90kg (198 pounds) and 180kg (396 pounds ) in squat, bench, and deadlift positions respectively. Those who work out at Heavyweights are all different shapes and sizes and ages. And that’s ok, said Unsworth. Paradise’s Beverly Sharpe, 55, is another one of Heavyweights’ strong women. She’s been competing for about five years now, and, like many of the others, started out on the fat burning program. “I did the 21-day program, then I did the 42-day program, and then, the rest is history,” she laughed. In the early days of her fat loss journey, a trainer approached Sharpe about powerlifting. But the Canada Post mail carrier wasn’t having it. “No by, I’m too old!” she recalled telling the trainer. Now Sharpe has three national competitions and a world competition, in which she netted a silver medal in 2016, under her belt. At this past national competition, she earned a silver in Classic 3 lift, and gold in equipped bench in the Master 2 (ages 50 plus) category. For Sharpe, whose day job entails a lot of heavy lifting, attitude is the key. And age is just a number. But medals aren’t earned from just positive thinking. In the 12 weeks leading up to a competition, Sharpe is at the gym five days a week. The rest of the time, she cuts it back to about three days a week. In total, 20 lifters from Heavyweights participated in the Nationals, earning a combined 14 gold medals, seven silver medals and five bronze medals, setting eight national records and 10 provincial records along the way.